Cimarron Golf Course. Golf Cimarron California. Cimarron golf course details and information about Cimarron Golf Resort in Cathedral City, California. The Cimarron Golf Resort in California includes two public 18-hole golf courses. The Boulder Course came in #10 on Greenskeeper.org’s list of Top 25 Best Places to Play in Southern California in 2013. It is a challenging but friendly course. The Pebble Course was voted the Top Shorter Length Golf Course in California. It takes roughly 3 hours and is very popular for juniors. 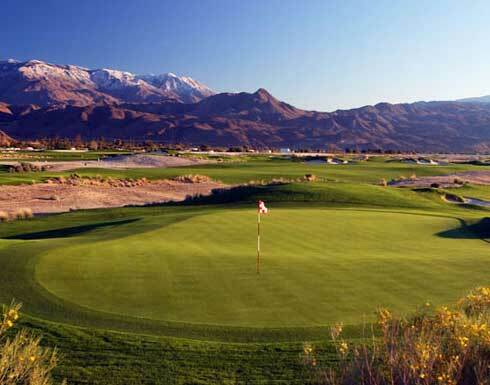 The Cimarron golf course also has stunning views of the San Jacinto Mountains. In addition to golf at Cimarron California, it also offers breakfast and lunch at their On the Rocks restaurant.